You left your 60 or 90 second commercial on their voicemail, and it sounds like a marketing brochure. Marketing Brochure Speak does not sell. It is appropriate for collateral materials and websites, not voicemails. You tried to sell on voicemail. If your goal is to make a compelling pitch on the phone, you will most likely be very disappointed. The goal of a voicemail is to get a return call. The goal of the return call is to engage the prospect in an Authentic Business Conversation. Your tone and pace need improvement. We’ve all heard it—Salesperson Tonality. It makes me cringe just recreating it in my mind. Did you know that tonality is about 85% of how you are perceived on the phone? Therefore it is critical that you master this skill. If you sound subservient or pleading, prospects will determine you aren’t worth the time. If you sound bored, prospects are more bored. If you speed-talk your way through a script, prospects will hit DELETE in less than 3 seconds. You failed to engage their curiosity. Do your research. Mention key events or trends that affect your prospects, give examples of results you help other companies achieve, reference mutual business experiences or connections. “Mr. 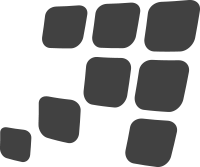 Prospect, I would like the chance to tell you about XYZ Company and how we could help you. Please call me at ……….” does not engage a prospect. Your prospects got slimed or irritated when they listened to your message. For example, “I’m calling to ask if you could save thousands on your ____________ costs, would it make sense for you to call me back?” or “Companies who work with us are committed to growing their revenue. If this is something you are interested in, you might want to give me a call.” Yuk! Anyone else have the urge to take a shower? You called the wrong person at the wrong level in the organization. I repeat, do your research. A couple of reconnaissance calls before you leave a voicemail are well worth the effort. You asked for the chance to “get together” before giving a compelling reason for executives to expend their valuable time. They are swamped, and you gave up after 2 or 3 voicemail messages. FYI, over 90% of sales people give up at this point. They just aren’t qualified to be your prospect. At risk of being pesky, I repeat, do your research! 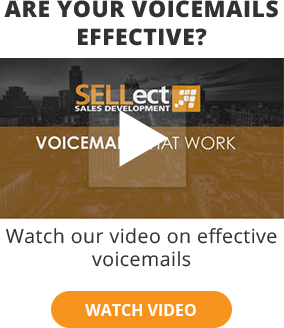 SELLect Sales Tip: Create and perfect multiple scripts of effective voicemail messages. SELLect Sales Tip: Never exceed 30 seconds on a voicemail. SELLect Sales Tip: Random calls are rarely effective. Identify your target companies before starting a pursuit campaign. SELLect Sales Tip: Pre-planning a structured, creative multiple-touch campaign is the key to pursuing and acquiring high-value prospects. For more information about our interim sales management or sales team assessment to improve your callbacks, contact us today!